KIEV, Ukraine -- TIME embedded with the Dudaev Battalion led by commander Adam Osmayev, who is wanted in Russia on terrorism charges. 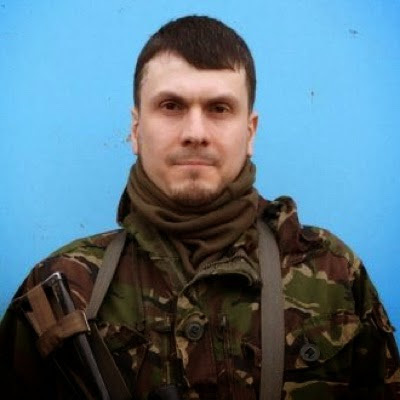 Adam Osmayev, English-educated at Wycliffe College, a €12,000 ($13,500)-a-term boarding school, is the Chechen commander of a Ukrainian volunteer battalion. Last year, the people of Ukraine realized that they had, in effect, no army to defend them. Their military had been too depleted by corruption and mismanagement to mount a defense when Russia sent troops to seize the region of Crimea in February 2014. Through the following spring, armed forces mostly stood by as Russia went on to fuel a separatist rebellion in Ukraine’s eastern regions, seizing effective control of more territory and large portions of the border with Ukraine. The so-called “volunteer battalions”—poorly trained but highly motivated militias—arose to fill the holes in Ukraine’s defenses. Over the past year, dozens of these paramilitary groups have appeared on Ukraine’s battlefields, often bearing the brunt of the fighting against Russian-backed separatist forces. They consist of anywhere from a few dozen to a few thousand troops, and their more successful commanders often enjoy the status of national celebrities. But their place in the military hierarchy of Ukraine tends to be murky. Though they get much of their heavy weaponry from government stockpiles, they mostly operate in a legal grey zone, closer to guerrillas than national guards. Earlier this year, TIME embedded with one of the more controversial of these groups—the Dudaev Battalion—which has been carrying out reconnaissance and sabotage behind enemy lines since the war began. About half of its troops are from foreign countries, meaning that, legally, they do not have the right to serve in Ukraine’s armed forces. But their commander Adam Osmayev, who is wanted in Russia on terrorism charges, now wants to merge his force with Ukraine’s defense ministry or national police—a move that would give him access to more weapons, he says, as well as a chance to get some Western military aid.